Since we first stepped foot on the Draenor of the past, we’ve been inexorably drawn toward one intriguing tale among a multitude of storylines taking place there. In patch 6.1, the quest line that began with ‘Call of the Archmage’ will continue, and the stakes have never been higher. What follows is just a glimpse of some of the additional new items and updates within the patch. Spoilers follow from here! Do not read this post any further if you do not want story details spoiled. Some may know Garona from her exploits in Azeroth. This powerful rogue assassin was responsible for the death of King Llane Wrynn. 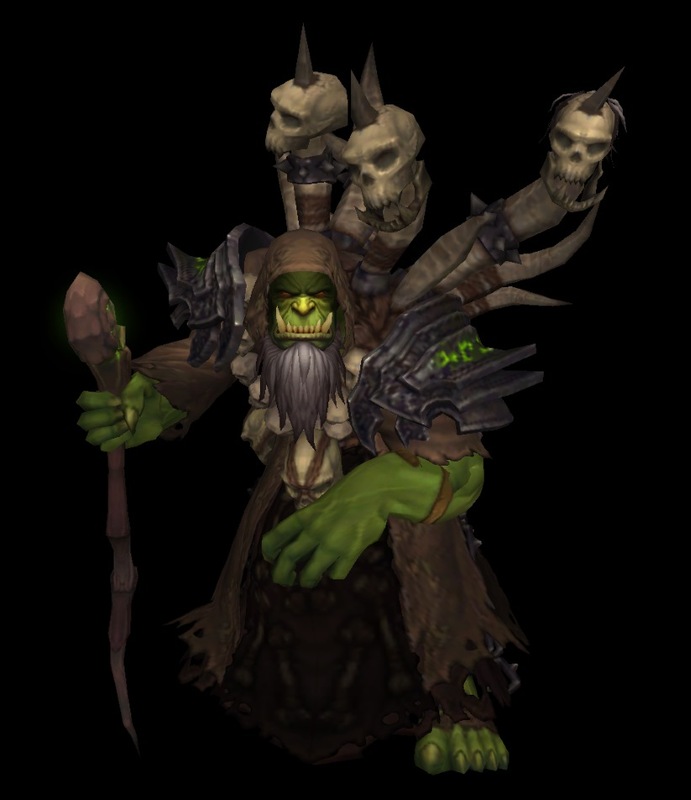 Along with her son Med’an, she aided the New Council of Tirisfal in their brutal struggle against the Twilight’s Hammer and the evil ogre magi Cho’gall. The escapades of Garona of Draenor have proven no less signficant. Not long after you first arrived in this savage land, Garona attempted to assassinate Khadgar, but you captured her. Since then, Khadgar has tried to break the mind control that Garona clearly suffers from. His efforts, and yours, have been in vain … until now. In patch 6.1, you’ll receive a new quest to infiltrate a Shadow Council stronghold and steal an artifact. Khadgar hopes to be able to free Garona’s mind. In the savage world of Draenor, you may not have any true friends, but you can forge partnerships with a meaningful purpose. Thanks to Garona, you’ll learn what Gul’dan is up to, and you’ll get the opportunity to witness firsthand as he attempts to take control of the Iron Horde and capture Grommash Hellscream. Gul’dan is making enemies on all sides. Invasions will also be going Platinum- You’ll now be able to earn new rank when running a Garrison Invasion taking your performance in defending it from Gold to Platinum. The last boss within a Garrison Invasion will also have a chance to drop a summonable Raid boss item. You’ll want to get 10-40 players together in your Garrison before you activate it. Followers can now obtain the Treasure Hunter trait, which increases the amount of gold awarded from a mission that rewards gold. There are a number of new Follower missions available to you in patch 6.1, including missions that reward Apexis Crystals, Savage Blood, Augmentation runes, Archaeology Artifacts, and items that instantly complete work orders. A new visitor to your garrison’s pet menagerie who comes bearing rewards for pet battlers and the promise of a new pets. This coincides with the discovery of a number of new pets in the raid dungeons of Outland. Pet collectors will want to delve into Black Temple, Hyjal Summit, and Sunwell Plateau in search of a dozen fierce companions and the achievement reward pet K’ute. Customize the music that plays in your Garrison by picking up a new quest in your Garrison to build your very own jukebox. You’ll be able to collect Music Rolls and apply them to your Jukebox so you can set the mood as you go about maintaining your base in Draenor. Patch 6.1 arrives on February 24. Check out the PTR patch notes to prepare for all of the changes coming to WoW, and get a better look at some of our other new features here.